AirVPN vs IVPN 2019 - 5 Tests, 1 Winner! 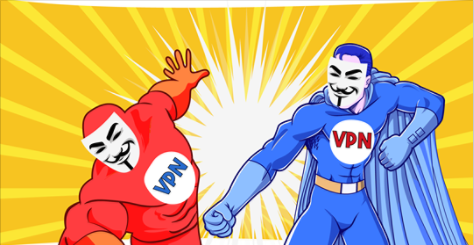 If you are looking for a VPN provider that is serious about your privacy, then IVPN is the company for you. The company is determined to become the leading provider of high-security VPNs, and they have numerous policies in place to protect you. To start with the company located its headquarters in Gibraltar so they would not legally be required to log customer data. Probably the BEST in the World. I have tried 6 OpenVPN services over 9 years and all had major drawbacks, especially with "Eyes" or trackers appearing on Ghostery/PrivacyBadger. Really check out these Companies Privacy policies etc.. Even then - don't believe anything. All VPN services will "sell you out" but the good one's will warn you first, a type of "Canary" warning. Not sure why iVPN is rated so low here! I have done a LOT of research and for security iVPN is simply the BEST! It is quite pricey though. IVPN Trial is a scam Beware of the trial period scam. Even after logging out and uninstalling the VPN client, you are unable to cancel the trial before your credit card is charged. We attempted to contact IVPN via several means, but they have failed to respond. Now we will have to dispute the charges through our credit card provider. DO NOT USE THIS SERVICE! Probably the BEST in the World. I have tried 6 OpenVPN services over 9 years and all had major drawbacks, especially with "Eyes" or trackers appearing on Ghostery/PrivacyBadger. Really check out these Companies Privacy policies etc.. Even then - don't believe anything. All VPN services will "sell you out" but the good one's will warn you first, a type of "Canary" warning. Not sure why iVPN is rated so low here! I have done a LOT of research and for security iVPN is simply the BEST! It is quite pricey though. Beware of the trial period scam. Even after logging out and uninstalling the VPN client, you are unable to cancel the trial before your credit card is charged. We attempted to contact IVPN via several means, but they have failed to respond. Now we will have to dispute the charges through our credit card provider. DO NOT USE THIS SERVICE!